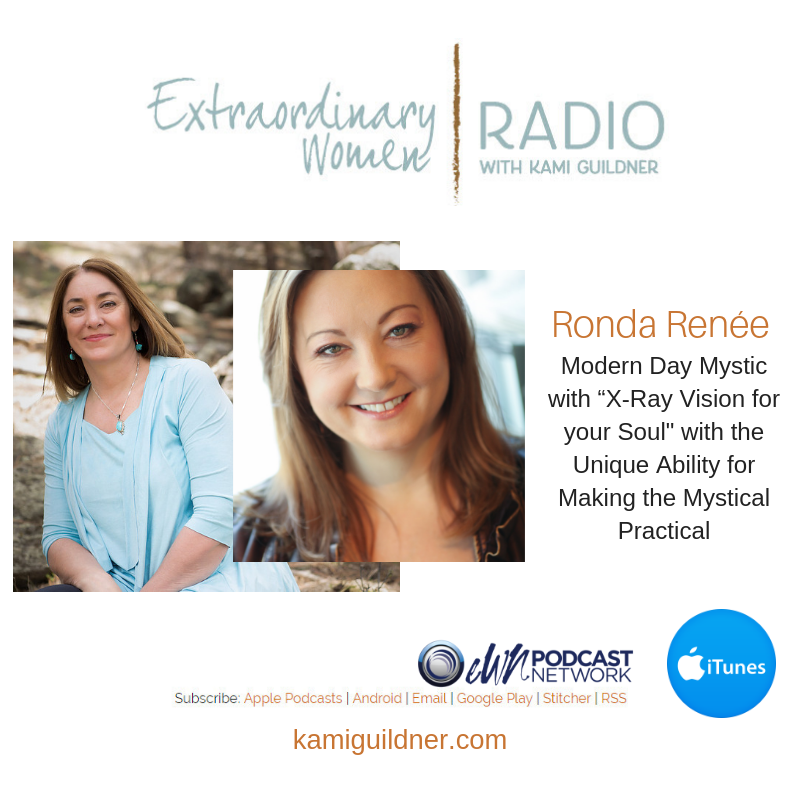 Today’s Extraordinary Women Radio interview is with Ronda Renée – a modern day mystic with “x-­ray vision for your soul.” She’s an international speaker, facilitator, and three time best-­selling author. Ronda is a Life Fulfillment and Spiritual Business Mentor and has the unique ability for making the intense inner exploration she discovered her life’s work of teaching people how to live and work from their soul. She shares her story and she shares our wisdom with us today. I love what Ronda is doing in the world and you will too! To learn more about Ronda and her work, visit her website or follow her on Facebook, LinkedIn or Twitter. If you’re interested in Kami’s Extraordinary Women Ignite mentioned in this episode, visit the site here.